There really is only one place we can start with this week: Apple. Yes, there were some shiny new expensive phones but what we really tuned in for was the Apple Watch Series 3. The headline feature, LTE, was one we had anticipated for quite some time, which along with the GPS added in the Series 2 now means Apple's smartwatch really can break free from the iPhone. Revolutionary tech? Well, no, not really. Samsung and the likes of LG already offer the same ability to live an untethered smartwatch life, but as our executive editor James pointed out, Apple has a habit of taking technologies that have been around for some time and turning them into world beaters. I'd be inclined to agree with him on that. Fitbit's CEO James Park recently revealed its reasons for not including LTE in its Ionic smartwatch, but Apple could well prove why it does have a place and could really help kick on smartwatch sales. That aside, there wasn't a great deal on the hardware front to get all that excited about (shout out for added barometric altimeter though), but when you look at what is happening on the software side of things, that's where Apple is really pushing things forward. 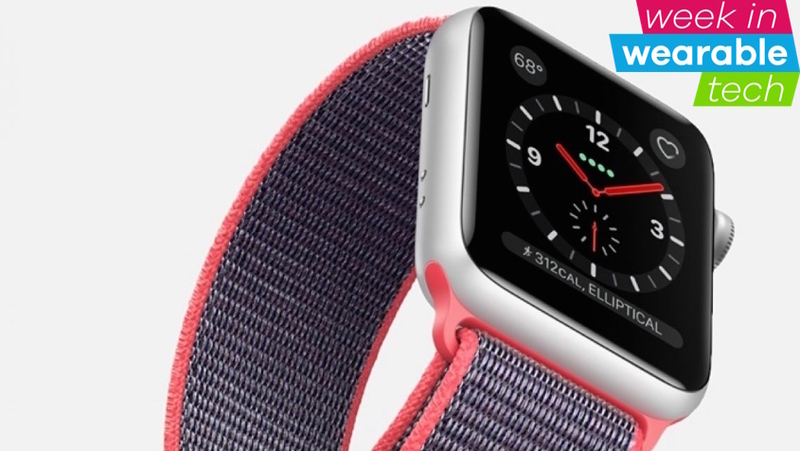 WatchOS 4 promises a raft of new features and it's taking existing hardware like its heart rate monitor tech and evolving it to something that goes beyond fitness and edges closer to serious health monitoring. All of these changes and software tweaks are contributing to Apple's rise in the watchmaking world, so much so that according to Tim Cook now makes Apple the new number one watchmaker, leapfrogging the likes of Rolex, Cartier, Omega and Fossil. It was reported that Swatch lost $1 billion in value after the Series 3 was announced, so if traditional watch brands weren't already worried about the Apple Watch, they will be now, that's for sure. Back when we ran our AR week special, our US editor Hugh and features editor Sophie duked it out over whether Magic Leap's mixed reality tech was holographic hype or rally the future of AR. This week it was reported that the startup is now looking to raise even more money and that its first headset will ship to a small amount of users within the next six months, selling for between $1,500 and and $2,000. With so much secrecy surrounding Magic Leap, some might perceive that secrecy as a way to maintain intrigue and excitement about what it has in store. But I can't help thinking that there's a bit more to this hush-hush approach, and I wouldn't be surprised if we are waiting a lot longer than six months to finally see it. I wanted to round off this week with the kind of story that vindicates once again the huge potential that wearable tech has in the fight against diseases. Researchers at the University of Buffalo are embarking on a project to detect the early stages of lung cancer. The project will last three years and use an implant, wrist tracker and smartphone/computer to look for those early signs. I don't know anyone that wouldn't be wishing the team all the luck in the world that it really can make a difference here, and I'm sure this won't be the last team of researchers we hear about that embraces wearable tech to take on cancer.